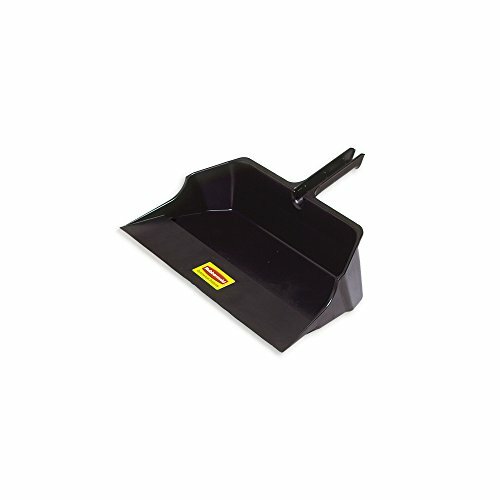 Rubbermaid Commercial FG9B6000BLA Jumbo Dust Pan, 18" Head Width, Black. This dust pan is perfect for quick clean-ups. It is ideal for environmental services. It comes in extra-large sizes to accommodate large jobs. 22 inches long by 18 inches wide by 7.75 inches high. 1.45 pounds. Made in the USA.